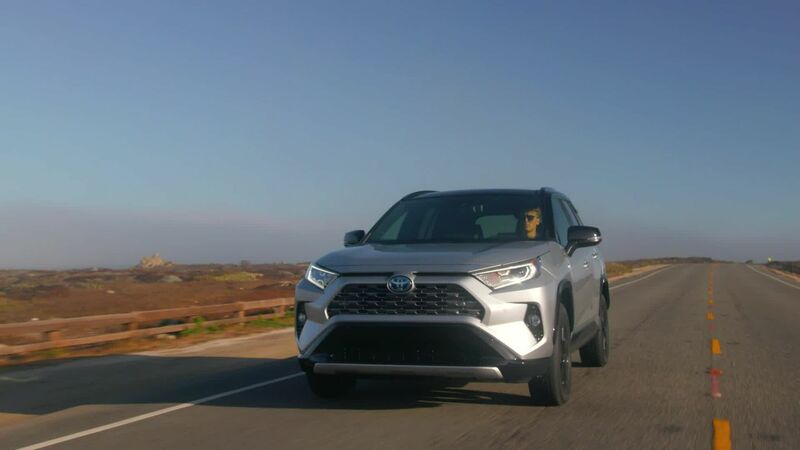 TORONTO, ON – November 20, 2018 – The 2019 Toyota RAV4 looks nothing like its predecessors, and that is purely by design. The all-new, fifth-generation model brings back a more dedicated SUV appearance, a reflection of both its enhanced capability and of customer desires. People buy SUVs for emotional reasons, not just practical reasons. 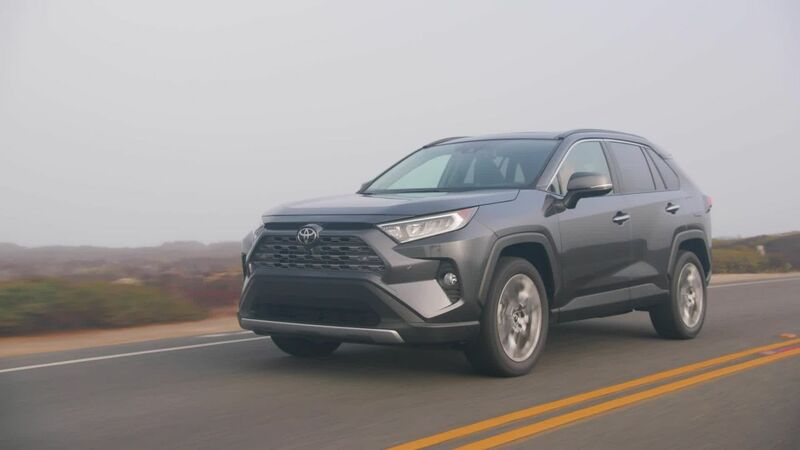 Toyota created the compact crossover SUV segment with the original RAV4 more than two decades ago. An all-new type of vehicle, the RAV4 combined SUV capabilities with passenger car ride, handling and fuel economy traits. It was a winning formula, leading to explosive market growth. In recent years, automakers smoothed out compact SUV design, adopting more passenger car-like traits. Toyota, the segment leader with 50,894 RAV4 sales in Canada in 2017, saw a need to break the mold it had cast. Considering that RAV4 is the brand’s best-selling vehicle in Canada, this was no small feat. Adventure is the suggestion of being able to drive anywhere you want. Refinement means a sophisticated design that fits in urban situations. “Just looking at the new RAV4 ignites the urge to get in and go somewhere,” says Saeki. He explains that while Toyota aimed the new RAV4 at young couples, singles or those just starting a family, Saeki also acknowledges that there’s a RAV4 for everyone! 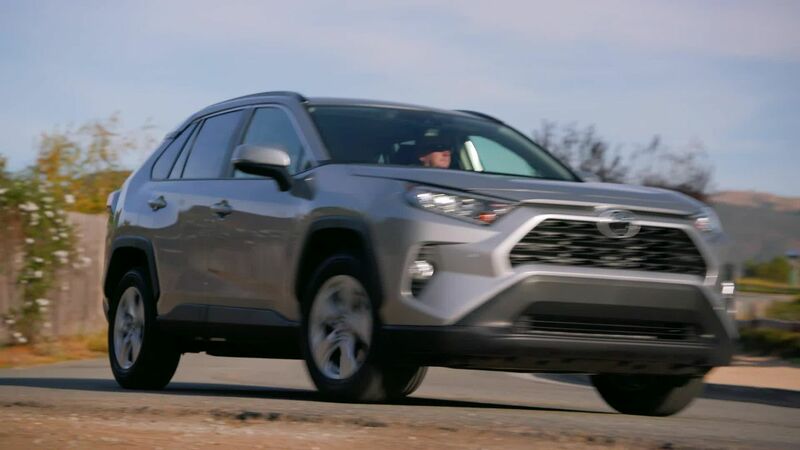 At first glance, the 2019 Toyota RAV4 looks radically different than its predecessors, and yet there is also quick familiarity when viewed from the front. The grille shape, for example, takes some inspiration from tough Toyota off-road pickups. It’s a look that connotes strength and capability, but for RAV4, this was no mere adaptation. Designers created an entirely new theme, based on everyone’s favorite high school subject, geometry. The result is a distinctly carved look, with bold body sculpting to create a “go anywhere” stance. The sculpted, three-dimensional theme is a dramatic turn away from soft, curvy SUV shapes. It’s meant to draw a strong emotional response and a feeling of adventure. That adventure could be heading off on a weekend of hiking or kayaking, or just playing tourist in your own city. It’s about the feeling of adventure as much as it is about the experience. Think about it: this is not much different from the emotional response to a sports car design, which is meant to evoke driving thrills even when parked. Those who actually enjoyed geometry in high school will appreciate how the new RAV4 design came together. It was, in a word, octagons. Two octagons intersect at a 90-degree angle to create a wide front stance and a look of enhanced utility in the rear. (Utility is actually enhanced, so it’s no illusion.) Each body panel has a sophisticated, chiseled appearance that combines athleticism and charisma. The front octagon shape flows through bold character lines from the doors to the bumper corners, making a powerful and tough impression. Meanwhile, the two-tiered trapezoidal grille enhances the muscular, forward-leaning body, emphasizing its wide and stable stance. Long, narrow headlamps, framed by a polygonal motif, convey a feeling of sense of enhanced width, while line-illumination adds to the sharpness of the front. All gas RAV4 models come standard with Bi-LED parabola headlamps and daytime running lamps. Exclusive to RAV4 HV models, projector-beam LED headlamps with signature LED daytime running lights (on XLE and above) produce a more premium light source. The octagonal silhouette of the rear body mirrors that of the front. Also similar, a trapezoidal shape radiates from the license plate garnish and flows across the rear combination lamps and through the bumper and tires towards the front. This “cross octagon” modeling creates an iconic motif, establishing a presence that stands out, excites, and invites. The result is a design that emphasizes SUV character while looking nothing like the boxy, utilitarian shapes of past SUVs. 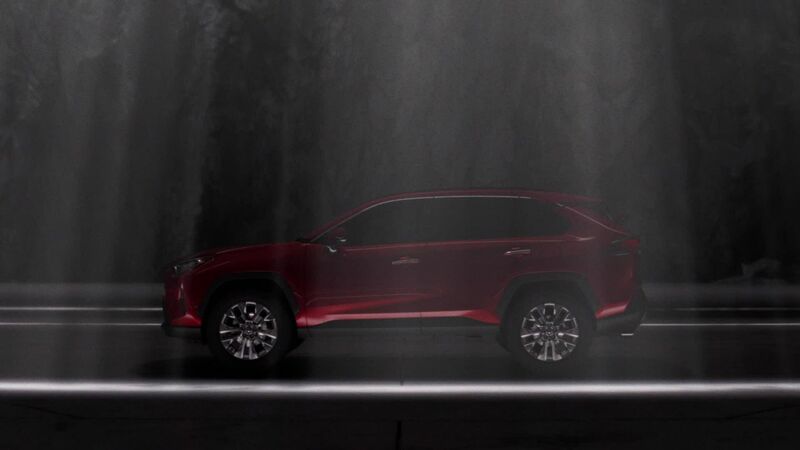 A critical element to the new RAV4 design is the “lifted up” look. While actually lowering vehicle height by a fraction, the designers have created the feeling of riding higher. That, too, is no illusion. Road clearance has actually been increased by a little over a half-inch. The lifted-up look is emphasized by the black lower body that flows from the side and runs up towards the rear. With their polygonal motifs, the wheel arches appear to hold the tires from a high position, emphasizing the lifted-up body and drawing attention to the vehicle’s capability. This theme is seen most prominently on the Trail and Limited grades, with their 19-inch wheels and the Trail grade’s large black over-fenders. At the rear, the protective parts and muffler are arranged to produce a clear appearance and sense of stability. In line with the “Cross Octagon” theme, polygonal shapes are seen throughout the interior, expressing a sense of unity with the exterior. RAV4 is not all about form; there is enhanced function in the aerodynamics, including the slight reduction in vehicle height. The angular rear combination lamp design not only suggests stability, it contributes to stability via aero stabilizing fins on the outer lenses. The new shape of the exterior door handles also help out in that regard. At the rear of the roof, a large spoiler and side fins contribute to aerodynamic performance. Aerodynamic enhancements are at work even where one can’t readily see: a full under cover for enhanced aerodynamic performance, for example. 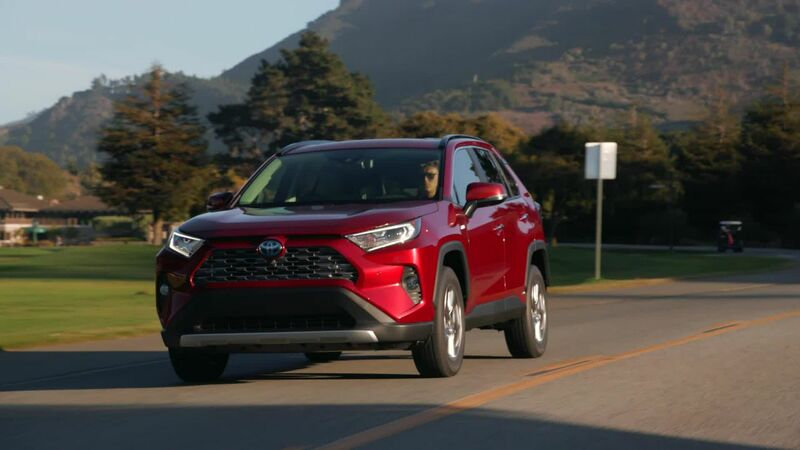 The 2019 RAV4 design uses colour to spark emotions. 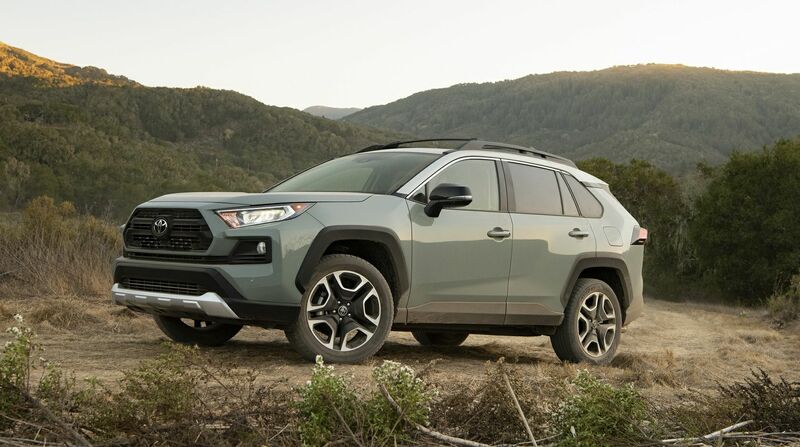 To accentuate its rugged persona, the Trail grade can be ordered with an Ice Edge-coloured roof that is paired with one of three exterior colours: Midnight Black Metallic and Blue Flame are both new for RAV4; Lunar Rock is new to the Toyota lineup and makes its first appearance on RAV4. Lunar Rock conveys sophistication and strength, evoking off-road imagery, and the two-tone arrangement takes inspiration from Toyota’s FJ-40 Land Cruiser and more recent FJ Cruiser off-road icons. 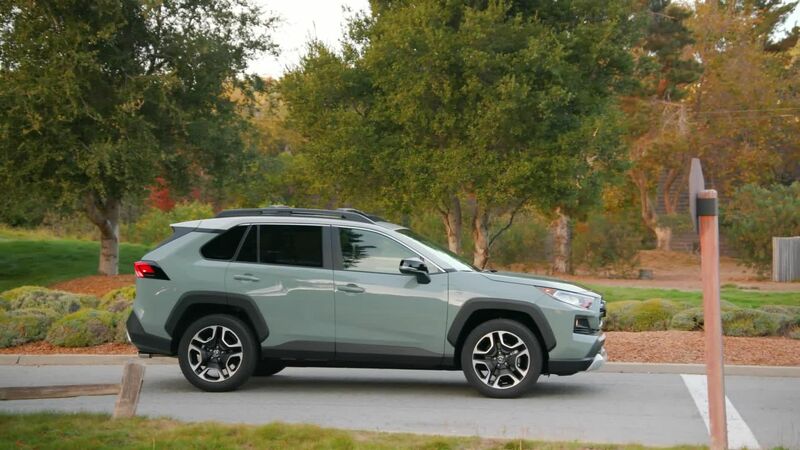 The RAV4 XSE HV’s look is unique, too, with piano-black accents across the front end, mirror caps, fender arches, and lower rockers to convey a refined urban image. The Limited gas grade connotes sporty elegance with silver trim, unique gray metallic-coloured grille, 19-inch alloy wheels and chrome accents.